hmv's Vinyl Week is well underway with loads of offers on vinyl titles available in-store and online until June 18th, as well as some exclusive vinyl titles arriving this weekend (in stores only) - but what if you want to get in on the action, but don't yet own a turntable? Don't worry, we've got you covered there too – there are a a range of turntables available at your local hmv and also in our online store, so to help you choose the right one for you we've picked out six of the best to suit your budget. If you're looking to buy your first turntable – or buy one for someone else, for that matter – but don't want to spend a huge amount of money on something you're only planning to use occasionally, then there are a couple of options you might want to check out. If portability is important then you could try the Crosley Cruiser, but if your turntable is just going to stay in your home then for the same price* you could also opt for the Ion Max LP. 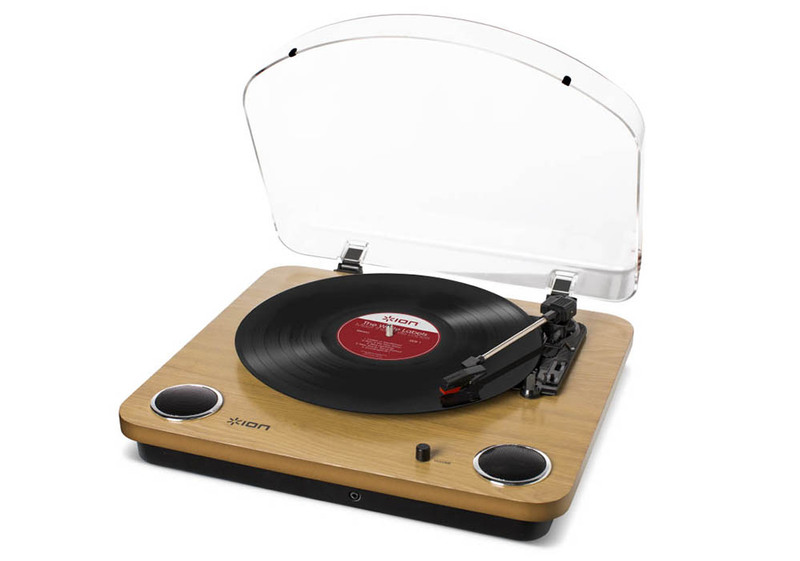 Available in two shades of natural wood finish, this entry-level turntable plays 33, 45 and even 78 rpm records (though you'll need a separate stylus for the latter), with a USB connection that allows you to easily convert your records to mp3 files using the bundled EZ Vinyl software (for PC and Mac). There's also a 3.5mm aux input for connecting other devices, a headphone output and a small pair of built-in speakers, but you can also connect the turntable to a stereo amplifier (or pair of active speakers) using the RCA / phono outputs on the back if you want a beefier sound, and its built-in phono stage pre-amp means you can plug it straight into to your existing setup. 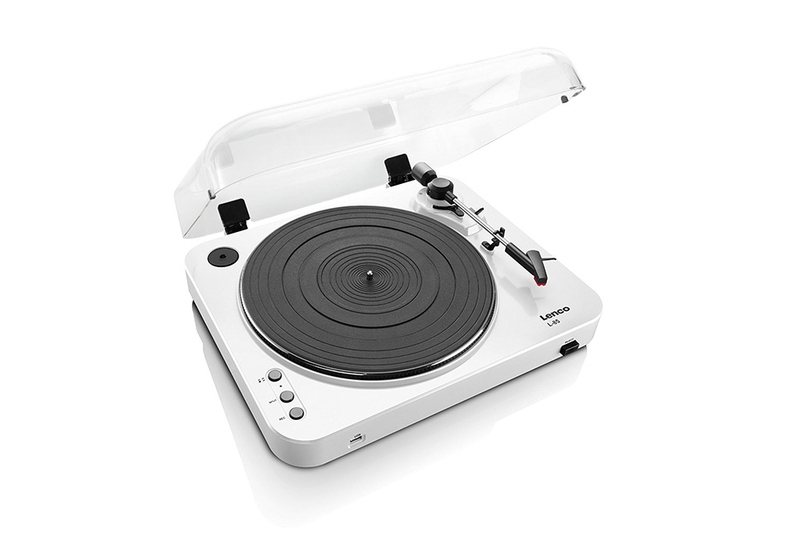 Like the Crosley, the Ion Max LP uses a ceramic cartridge, which requires a heavier tracking weight to avoid skipping. Over time, this can increase the amount of wear and tear on your records, so if you're buying something to play your rare and valuable blues collection on, you might want to consider spending a few quid extra. That said, if you're a first-time buyer this is a handsome-looking and capable turntable at a very modest price. 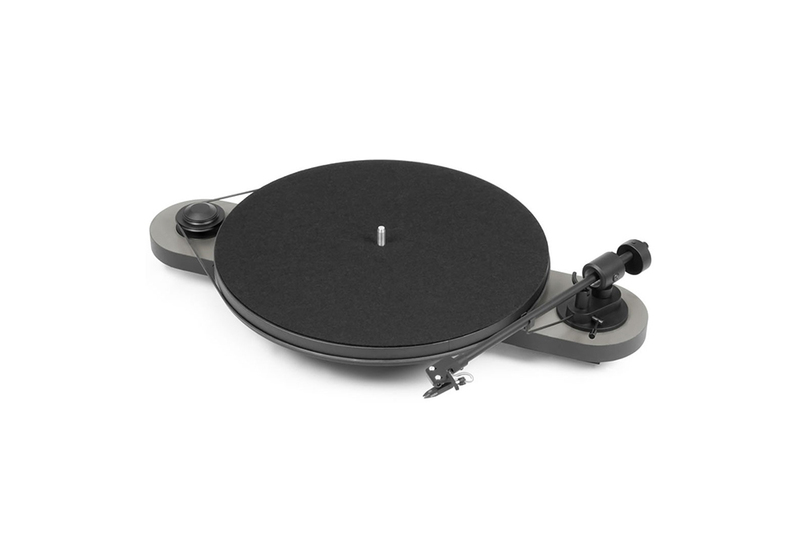 Easily the best value option for any turntable under £100*, the Lenco L85 comes in a variety of contemporary colours to suit all tastes and although its plastic casing makes it a very light 2.5kg, the build quality is surprisingly sturdy. The two-speed L85 will play at 33rpm or 45rpm, while the moving-magnet cartridge requires less tracking weight than some cheaper turntables, so will be a lot kinder to your records in the long run. There are no built-in speakers on this model, but a built-in phono preamp and RCA connectors on the back allow you to connect the turntable to your stereo amplifier. The L85 also coverts vinyl to mp3 using an internal encoder which writes the files to a USB stick inserted into the front USB port, with a handy 'split' button which allows you to separate the files into individual songs on the fly. Easy to use and with very decent sound quality for the price (especially with regard to clarity on vocals), this is good starting point for anyone looking to dig their existing record collection out of the attic, or those looking to start a collection without shelling out a huge amount on a turntable. 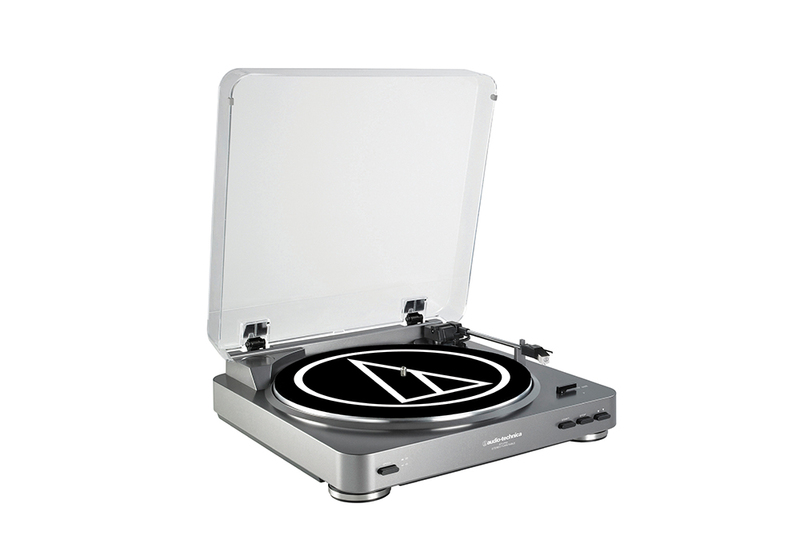 Audio Technica are a company with a solid reputation for making quality audio gear such as microphones and headphones at competitive prices, and in terms of sound quality versus price this belt-drive turntable really does take some beating in the value stakes. The AT-LP60 is well-built and boasts the kind of good looks that would rival a turntable costing twice as much, but it's in the sound quality department that this model really punches above its weight, providing clarity and accuracy across the frequency spectrum. Fully automatic and able to play both 33 and 45 rpm records, the AT-LP60 is another with a built-in preamp that allows you to connect to your stereo amplifier with RCA connectors on the rear of the unit – but this is also switchable if you want to use your own phono stage preamp. In addition, you can also use the USB port to connect the turntable to your PC or Mac and use the bundled Audacity software to create digital versions in WAV format at 16-bit resolution, with a sampling rate of 44.1 Khz (CD quality) or 48Khz. Although slightly more expensive than the Lenco L85, the difference in sound quality and features makes it worth every penny and, if you want wireless connectivity, then for an extra £60 there's also a Bluetooth version that allows you to connect wirelessly to any Bluetooth speaker. House of Marley have been making a name for themselves in recent years with a range of headphones and Bluetooth speakers already on the market, but earlier this year they made their first foray into the turntable market with the Stir It Up, which pairs impressive sound quality with eco-friendly credentials. 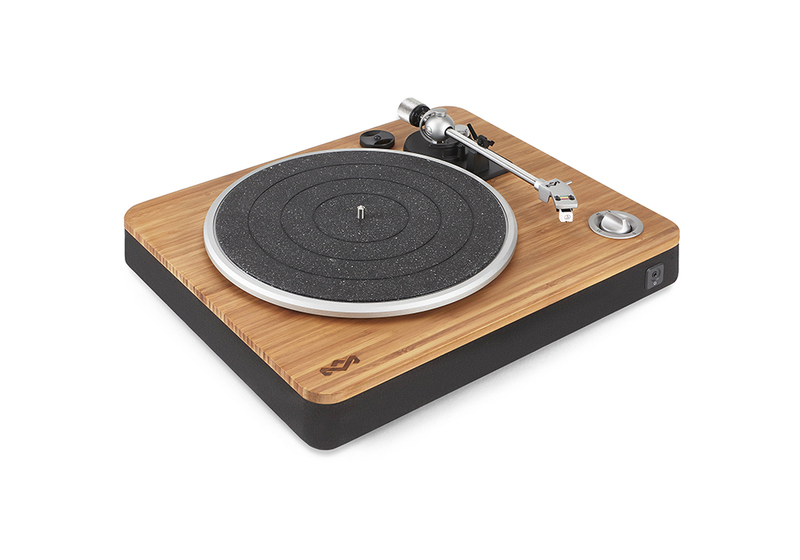 All the materials are sustainably sourced, from the bamboo used to give the turntable its wooden finish to the recycled cardboard box it ships in, while the company has also developed a number of other environmentally-friendly materials into its first turntable, including an exterior casing and dust cover made from up-cycled hemp and plastic bottles, as well as a slip mat made from recycled silicon rubber. 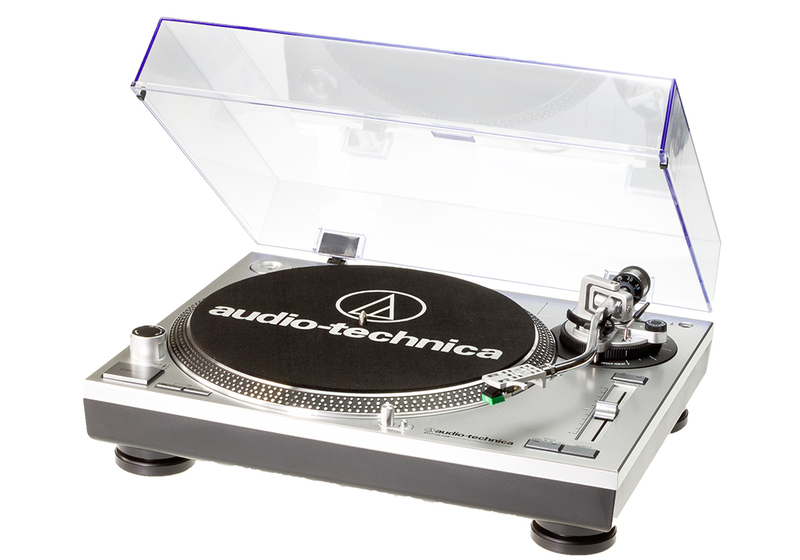 Equipped with a replaceable Audio Technica MM cartridge, the turntable plays 33 and 45 rpm records and features include a switchable built-in preamp, RCA output connectors, auto pitch control and an anti-skate function, as well as a USB port for digital recording direct to your PC and a handy headphone jack on the front. Like the AT-LP60, the sound is very impressive for a turntable in this price range and there isn't much to choose between the two, but if green credentials are high on your list of priorities then this would make an excellent choice. Pro-ject are another firm with a very solid reputation for building quality turntables and while some of their high-end flagship models can cost upwards of £7,000, their entry-level models are very capable indeed and the Elemental offers serious sound quality for a very reasonable price. The Elemental has a modern but very minimalist design and everything about this turntable is the result of Pro-ject's attempts to pack in as much sound quality as possible for those on a budget. As such, there's no push-button mechanism for changing the speed from 33 to 45rpm – instead this is achieved by adjusting the belt on the drive motor (which is actually very easy to do). You do however get a USB output for digital conversion, gold-plated RCA connectors and a built-in preamp on this version of the Elemental. A dust cover would have been a nice addition (you can buy these separately), but if your one and only concern is sound quality, this is about as good as it gets for a turntable under £200. For decades now, the Technics SL-1200 mk2 series have been the go-to choice for DJs thanks to their selection of features and their reputation for being practically indestructible, but the product was eventually discontinued in 2010 and its replacement, the SL-1200G, is aimed more at hi-fi listening and, at around £3,000 per unit, is prohibitively expensive for some. However, there have been several unabashed copycats over the years and the latest of these comes courtesy of Audio Technica with the AT-LP120. Based on the SL-1200 design, this direct-drive turntable offers all the features you'd expect to find, such as a target light, stroboscope and +/- 20% pitch control, but the AT-LP120 also packs in plenty more features you wouldn't find on the SL-1200, including a reverse switch, a switchable pre-amp and digital conversion via USB with the bundled Audacity software. If you're an aspiring hip-hop DJ, the direct drive motor should be capable enough to handle all but the most heavy-handed scratching and, like it's little brother the AT-LP60, produces a very impressive and even-handed sound, especially for a turntable costing less than £300.